According to a 2012 report, almost 90 percent of Canadian university students drink alcohol, while 32 percent reported drinking heavily at least once a month. Five or more drinks for males, four or more drinks for females in one occasion is considered Binge Drinking. It takes more than an hour for your body to process one standard drink of alcohol. This rate is constant, no matter how much you drink. The only way to get sober is to stop drinking, and to wait. 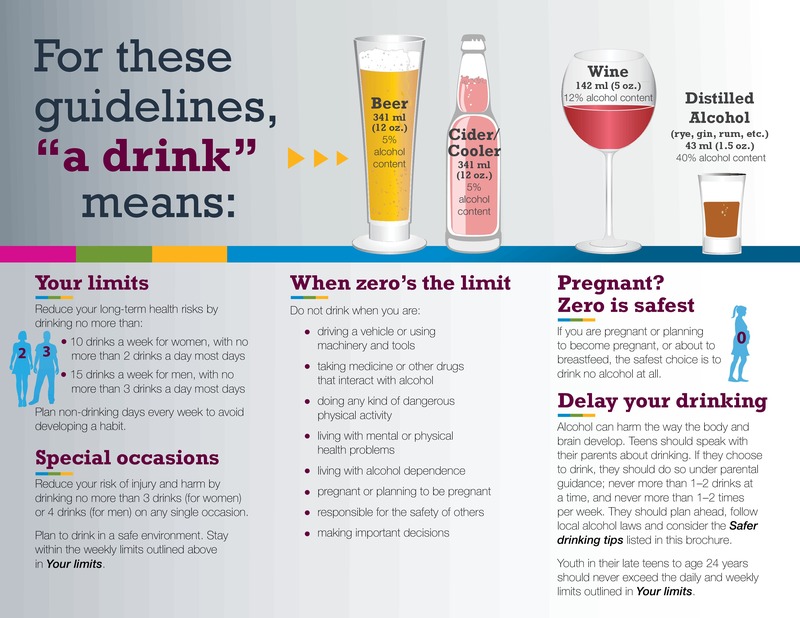 For more information on Canada's Low Risk Alcohol Drinking guidelines, click here.